The 2016 Summer Games are coming to a close Sunday night, and despite the hailstorm of bad press Team USA has seen over the last week, there’s light at the end of tunnel. 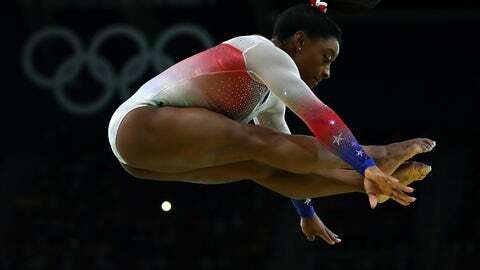 Simone Biles will close it out for Team USA. Per the Los Angeles Times‘ Nathan Fenno, Biles has been selected to carry the American flag in the Team USA processional—a high honor for a more-than-deserving Olympian. "It’s an incredible honor to be selected as the flag-bearer by my Team USA teammates," Biles said. "This experience has been the dream of a lifetime." Biles is the first female U.S. gymnast to be selected to carry the flag—which is sort of mind blowing, given Team USA’s history in women’s gymnastics. In any case, Biles’ four gold medals and general flawlessness in all things is more than case enough for her selection. Rio wasn’t perfect for Team USA, but it’ll end on the highest note the U.S. has. Dan is on Twitter. "Don’t lose the Biles for the gas station fights" — old Rio Olympic adage.